I really enjoy decorating cupcakes and so I was really excited when I was sent Queen's new Decorating Icing Kit to try by the lovely Jessica on behalf of Queen Fine Foods. Receiving the kit provided me with the perfect excuse to whip up a batch of fluffy vanilla cupcakes. 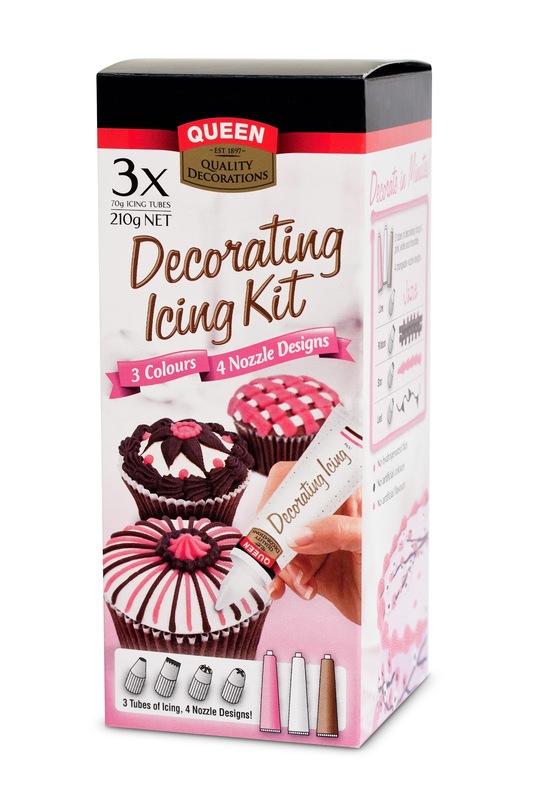 The all-in-one kit provides the perfect choice for creating a range of designs using 4 interchangeable nozzles and 3 delicious icing flavours - chocolate, strawberry & vanilla. You are only limited by your imagination and if you get stuck for ideas the kit includes a handy decorating tips and tricks guide. I was really impressed by the kit and found it easy and fun to use. I also enjoyed the flavour of the icing, particularly the chocolate! Using the different nozzles you can create a range of unique designs including but not limited to ribbons, stars, and leaves. 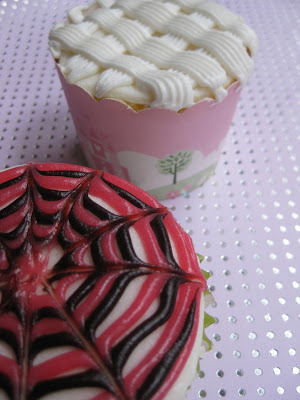 Tell me, what designs would you try with Queen's Decorating Icing Kit? The kits are available at supermarkets nationwide and they retail for about $5.99. Thats very reasonable! Maybe I'll have a go - although my patience isnt well behaved around cupcakes. Pretty good value and I could definitely use this! I love their new stuff too! I wish I had an endless supply lol :P That box of three icing tubes was my favourite out of all of them! Adrian, they are great value. Love it! This does look good. Next time I make cupcakes will try it out! ooooo isn't that clever! they look fantastic! That's fantastic. Just what cupcake decorators need. Love the different techniques the nozzles, colours and flavours cover! Absolute favourite icing set!